Fort Wayne Regional Maker Faire 2011 – Video produced by Stephen Parker. 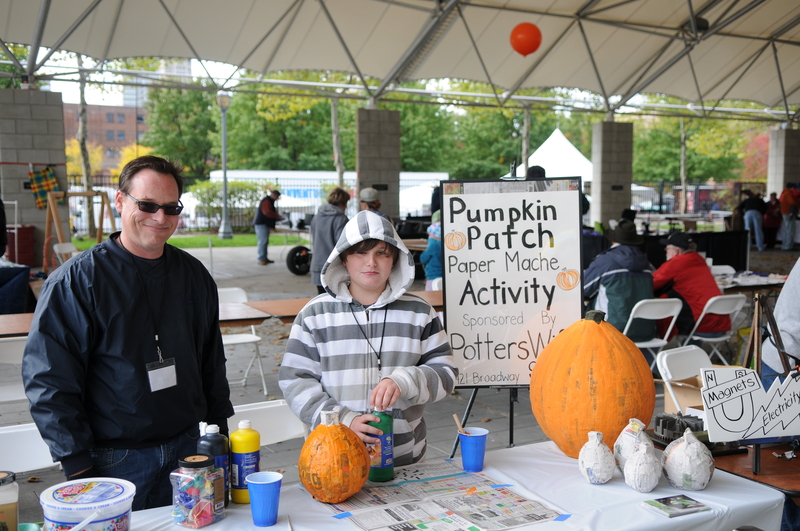 Fort Wayne Regional Maker Faire – Powered by TekVenture is a family-friendly event to MAKE, create, learn, invent, CRAFT, recycle, think, play and be inspired by celebrating arts, crafts, engineering, food, music, science and technology. Join us August 8 & 9, 2015 under the Lincoln Pavilion at beautiful Headwaters Park East, Fort Wayne, Indiana, for the 5th annual event to celebrate Makers and the cool things they make. Volunteer to help make it happen. Work a shift and receive free entry and a T-shirt! Sign up for our Mailing List to keep up to date. Learn about The People bringing you this event. Fort Wayne Regional Maker Faire celebrates things people create themselves — from James Bond-worthy electronic gizmos to Martha Stewart-quality “slow made” foods and homemade clothes. 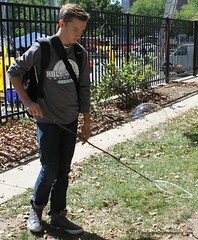 Inspiration is ubiquitous at the festival and there are surprises around every corner for people of all ages. ROCKETS & ROBOTS • DIY SCIENCE & TECHNOLOGY • ARTS & CRAFTS • BICYCLES • ELECTRONICS • ARTISAN FOODS • URBAN FARMING • SUSTAINABLE LIVING • WOODWORKING • CIRCUIT BOARDS • RACING • ALTERNATIVE ENERGY VEHICLES • FIRE ARTS • LIVE MUSIC • ART CARS • ARDUINO & KITS • RASPBERRY PI • AND SO MUCH MORE! 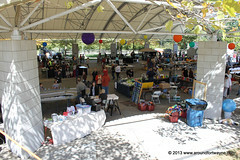 The original Maker Faire event was held in San Mateo, CA and in 2014 celebrated its ninth annual show with some 1,000 makers and 120,000 people in attendance. World Maker Faire New York, the other flagship event, has grown in four years to 500+ makers and 55,000 attendees. Detroit, Kansas City, Newcastle (UK), Rome, and Tokyo were the home of “featured” 2014 Maker Faires (200+ makers), and community-driven, independently organized Mini Maker Faires are now being produced around the United States and the world—including right here in Fort Wayne. June 18, 2014 was declared National Maker Day and the first ever Maker Faire was held at the White House. 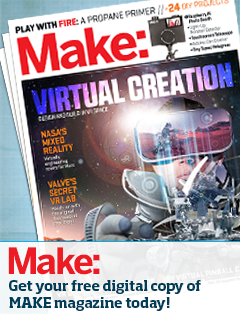 The Maker Movement has now reached mainstream as the highest leaders of our nation realize that making is our future. TekVenture is a member-based 501(c)(3) not-for-profit art and technology laboratory and workshop where the public will engage with tools, materials, and mentors to make things. Recently located at the former Allen County Sweeper Co. at 1800 Broadway, Fort Wayne, Indiana, TekVenture is the intersection between imagination, technology and community. Volunteers have spent months digging through an urban archeological dig discovering all sorts of neat treasures in this iconic building from the late 40’s. TekVenture officially opened on 3.14/15 with the introduction of our newly remodeled Rapid Prototyping Center. The balance of the building is being brought to code but our goal is to open machining, robotics and woodworking labs by late June. In addition top membership, the public can connect through workshops, user groups, and community building projects. While searching for a permanent home, TekVenture has operated the Maker Station in partnership with the Allen County Public Library, a 50′ trailer located at the ACPL lot at Webster and Washington St. It held a variety of old and new tools for helping people explore and learn about processes used so that they may in turn, start making things.